Clare Collins is a Professor of Nutrition and Dietetics in the School of Health Sciences, Faculty of Health and Medicine at the University of Newcastle, NSW, Australia. Professor Collins hold a prestigious NHMRC Senior Research Fellowship. She is currently Director of Research for the School of Health Sciences and is Deputy Director of the Priority Research Centre in Physical Activity and Nutrition. In 2017 Professor Collins was awarded Hunter Medical Research Institute, Researcher of the Year. She has published over 300 manuscripts and supervised 25 Research Higher Degree candidates to completion. Her research examines nutrition and dietary intake,and how this relates to changes in diet quality, food patterns, weight and health across all ages and stages of life, particularly using technology. 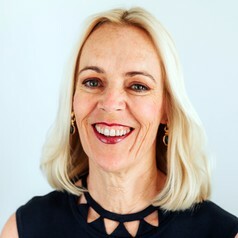 Professor Collins has developed technology based tools for dietary assessment, including the Healthy Eating Quiz (http://healthyeatingquiz.com.au/) and the Australian Eating Survey (http://australianeatingsurvey.com.au/). Professor Collins is a Fellow of the Dietitians Association of Australian (DAA). She chaired the development of the Best Practice Dietetic Guidelines for the Management of Overweight and Obesity for Adults and led the dietetic team at the University of Newcastle to review the evidence base informing these guidelines in 2011. Professor Collins is a well known Australian media commentator on nutrition and has conducted thousands of media interviews. She has been a spokesperson for the Dietitians Association of Australia for 18 years. She has co-authored six books for the public on weight loss and has been nutrition consultant to the Shine Australia who produce the TV programs The Biggest Loser, The Bachelor, So You Think you can Dance and Australian Survivor.